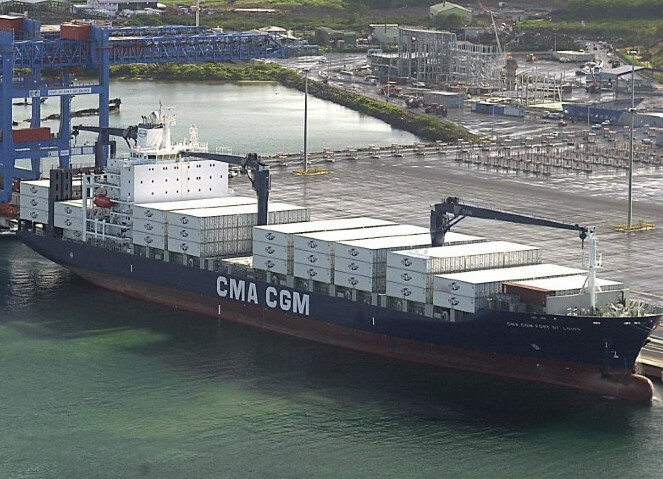 Shipping giant CMA CGM has signed a sustainability agreement with one of the world’s biggest ocean freight forwarders, Panalpina, to significantly reduce carbon emissions by 2025. Nine newbuild ‘mega-vessels’ with a capacity of 22,000 TEUs are scheduled for delivery in 2020 and will help the two companies towards their resective targets. CMA CGM is aiming for a 30 per cent drop in carbon emissions per TEU by 2025 (from a 2015 baseline), while Panalpina is targeting a CO2 emissions reduction of 22 per cent within the same timeframe (from a 2013 baseline). Powered by liquefied natural gas (LNG), the new Ultra Large Container Vessels (ULCVs) will enable a CO2 reduction of up to 25 percent compared to CMA CGM’s current fuel-powered vessels. The ships will also generate 99 per cent less sulphur emissions, 99 per cent fewer fine particles and 85 per cent less nitrogen oxide emissions, according to Julien Topenot, head of environment and sustainability at CMA CGM. “We are determined to reach that goal by investing in highly fuel-efficient vessels, making constant technical improvements, and retrofitting our fleet,” said Topenot. The Marseilles-based shipping company, which recently celebrated its 40th anniversary, was the first shipping company to order container ships propelled by LNG, which is a low-cost, low-emission alternative to diesel and petrol. 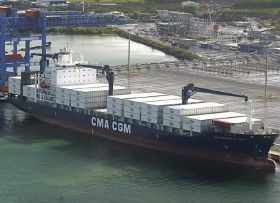 For its part, Panalpina said it was already using CMA CGM’s “most efficient and environmentally-friendly services”, adding that the new agreement would “reinforce” its commitment to sustainability. “Partnering with strategic partners such as CMA CGM that are technology-driven and share a similar vision of sustainability, and using them to transport our customers’ cargo, will help us achieve our ambitious sustainability goals,” said Lindsay Zingg, Panalpina’s global head of quality, health, safety and environment. Beyond limiting the companies’ environmental impact, the agreement will see CMA GGM and Panalpina collaborate on ethics and compliance, social responsibility, and community initiatives. The pair said they intend to work together more closely on projects such as occupational health and safety programs, local sourcing and emergency relief and support. In 2017, CMA CGM transported 19 million TEUs with a fleet of around 500 vessels, operating more than 200 international services. In the same year Panalpina transported 1.5 million TEUs, making it the fourth-biggest ocean freight forwarder in the world.